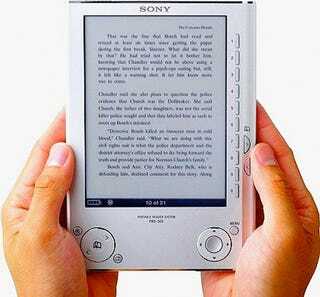 If a book was published before 1923 and it's at all worth reading, there's a pretty good chance that you'll soon be able to download it to your Sony reader for free. Sony is partnering with Google to offer a half-million public domain titles—already available to PC users on Google Book—to their library, making their collection the largest available for any eBook format, including the Kindle's. Google's contribution here, beyond scanning the books in the first place, was to convert the text to the open ePub eBook format, which allows for proper lineation and formatting—something that PDFs can't always offer.